Our Best Ever Sale Ends! Our driving school in Northampton does not compromise on quality and we don’t think you should either. There is no need to pay over the odds for great driving lessons Northampton, our driving lessons in Northampton are cheap, saving you money in the long run. The average pupil learning with us passed first time after 21 hours of driving tuition – The national average is 45 hours! At Drive Northampton, we only use fully qualified driving instructors in Northampton, our pupils deserve the best and we believe that trainee driving instructors or instructors with low grades are not good enough, unlike some other companies who often use trainees without telling their pupils. 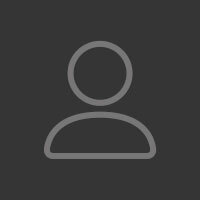 Your instructor should have a green badge, if they have a pink one, you should give us a call and get yourself a decent, fully qualified Drive Northampton driving instructor. 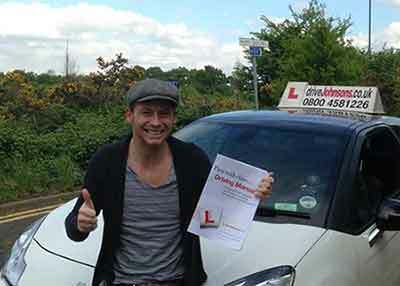 Being one of the best Northampton driving schools, we have celebrities such as Joe Swash learn with us. At our Northampton driving school, we have a great first time pass rate of 92% – We don’t waste your time and we give you the best chance of passing first time. If you’re looking to get passed quickly, an intensive course would be right for you, our instructors are specialists in fast pass courses and can tailor a course specific to your needs in order to get you passed fast and first time. Driving Lessons Northampton aren’t always cheap, but with us, you get more for your money. Our aim is for you to learn as quickly and safely as possible. When you first start your driving lessons with us, you will receive all of the free resources listed below to help you save time, money and give you the best possible chance of passing your driving test first time. 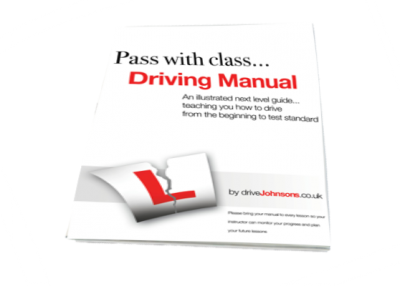 Our 30 page driving manual is great to aid your driving lessons Northampton. In easy to read English, the manual helps with your understanding of driving with helpful tips and advice. 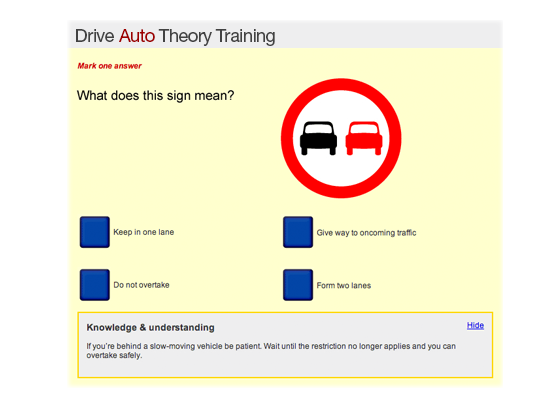 We offer free theory training which includes both question and hazard perception practice. This is the best resource to use to revise for your test! 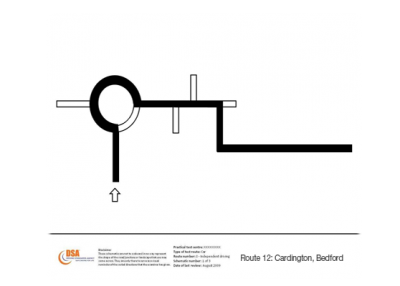 One thing you get with us that not all driving schools offer, is the fact that we know all of the test routes for Northampton and offer test route videos to help you pass faster. Passed my driving test 1st time with 3 minors. My instructor was very good, the lessons were good and enjoyable. My son passed with this driving school after receiving some great driving tuition. I'm very grateful to them. I passed first time in Northampton with ZERO MINORS with the examiner complimenting me on what a great drive it was. What a result and what a driving school. Thank you. You will never see our prices this cheap any other time of the year. Gift vouchers available with greeting card.